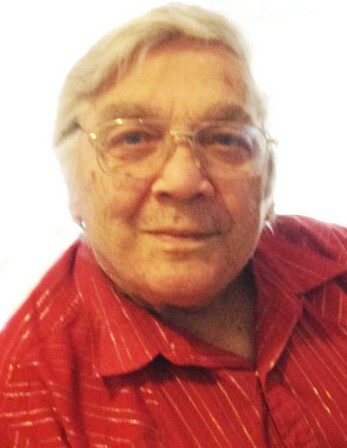 Rex Byron Morrill, 76 years old of Sandy, Utah passed away unexpectedly of a heart attack on March 12, 2019. He was born April 26, 1942 in Junction, Utah to Waldo and Inez Morrill. He married Bonnie M. Beck on May 23, 1961 and had 2 sons and a daughter, later divorced. He married Marilyn B. Reeves on September 29, 1984 and became a loving father to her son and 2 daughters. Byron worked with his father-in-law and brother-in-law at “George’s Tireshop” in Midvale, Utah until it was sold. He then became a beloved member of Jordan School District Transportation Dept. until he retired after 20 years of service. Dad enjoyed working on hot rods, fishing and hunting. Later in life he preferred watching old westerns, playing solitaire and making salsa for his friends and family. He had a heart of gold, always putting others before himself. He will be dearly missed by all who knew him. He is survived by his loving wife of 35 years, Marilyn, sons Rex A. Morrill (Daylene), Todd B. Morrill (Michelle), daughter Stacie M. Hart (Tom), stepson David L. Reeves (Danika), stepdaughters Kerrie L. Ainsworth (Scott), Collette B. Higley (Craig), 22 grandchildren, 42 great-grandchildren, and one great-great-grandson. He is preceded in death by his parents, 2 brothers and a sister. Funeral services will be held on Wednesday, March 20, 2019 at noon at Anderson & Goff Mortuary, 11859 S. 700 E., Draper, Utah with interment at the Crescent Cemetery in Sandy, Utah, 11105 S. State St. The viewing will be held prior to services from 10-11:45 a.m.